FNSS Savunma Sistemleri has taken the opportunity at the IDEF 2017 exhibition in Istanbul to debut its latest Pars III family of armoured fighting vehicles, in both 6x6 and 8x8 configurations. The earlier generation 8x8 Pars was developed by the company as a private venture specifically for the export market. Malaysia became the first customer of the type, taking delivery of 247 vehicles - comprising of 12 variants - under the local designation of AV8. The first AV8 originated from the company's production line but local assembly is now being carried out by DRB-Hicom Defence Technologies (Deftech) in Malaysia with FNSS supplying key subsystems such as the driveline. The 8x8 Pars III has a typical gross vehicle weight (GVW) of up to 30 tonnes. In the infantry fighting vehicle (IFV) configuration it has a crew of three consisting of commander, gunner, and driver, and carries nine dismounts. The vehicle has steering enabled on four axles and is powered by a diesel engine coupled to an automatic transmission and a two-speed transfer case, which gives a maximum road speed of up to 100 km/h and a road range of 700 km. Meanwhile, the 6x6 vehicle has a GVW of 25 tonnes and typically has a crew of three plus six dismounts, with steering enabled on the first and last road wheel stations. 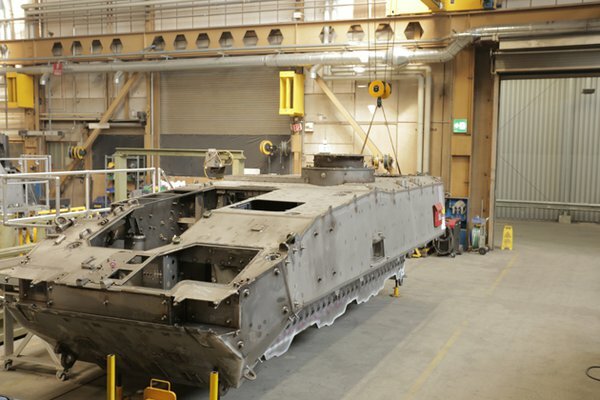 Both vehicles have a hull of all-welded steel to which a modular appliquÃ© armour package can be fitted. FNSS claims that the hull design of the Pars III offers a higher level of protection against mines and improvised explosive devices (IEDs), with all crew members provided with blast shock mitigation seats. Turkey's Nurol Makina unveiled a new 4x4 armoured vehicle at the 2017 International Defence Industry Fair (IDEF 2017) exhibition in Istanbul. Designed as a private venture, the vehicle is being positioned by the company for procurement by the Turkish Armed Forces. Known as the NMS, the vehicle has a monocoque V-shaped hull and is designed for speed and manoeuvrability. Although displayed in a baseline scout version, the modular NMS has also been presented in an air defence configuration incorporating two quad missile launchers and a panoramic sight. Additionally, a cargo variant with the passenger compartment removed has also been described by the company. Nurolâ€™s earnings flourished from a mere $5 million in 2012 to $100 million in 2016, marking a 20-fold increase in four years. 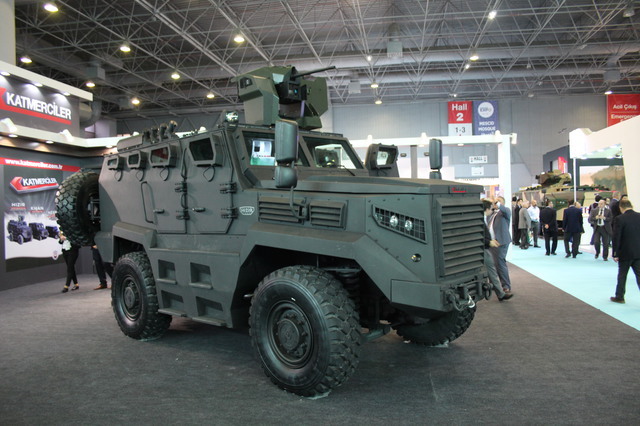 The companyâ€™s signature vehicles, the Ejder Yalcin, has received more than 500 orders. The Ejder Yalcin is a heavy armored combat vehicle with conventional and ballistic protection against mines and improvised explosive devices. Meanwhile, a BMC venture, RBSS, is seeking to finalize a contract with Qatar for the sale of a batch of 1,000 armored vehicles. 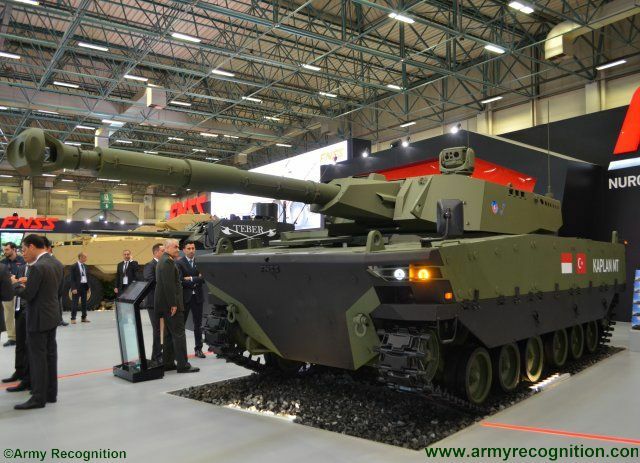 The Turkey-based RBSS is a partnership between BMC, Germanyâ€™s Rheinmetall and Malaysiaâ€™s Etika. Katmerciler showcased its new models at IDEF'17, including the Khan and the Hizir. The Hizir is Turkeyâ€™s first hybrid armored vehicle, powered by an electric engine built by military electronics specialist Aselsan, Turkeyâ€™s biggest defense company. Katmerciler says it aims to specialize in six-wheel drive and eight-wheel drive light vehicles. 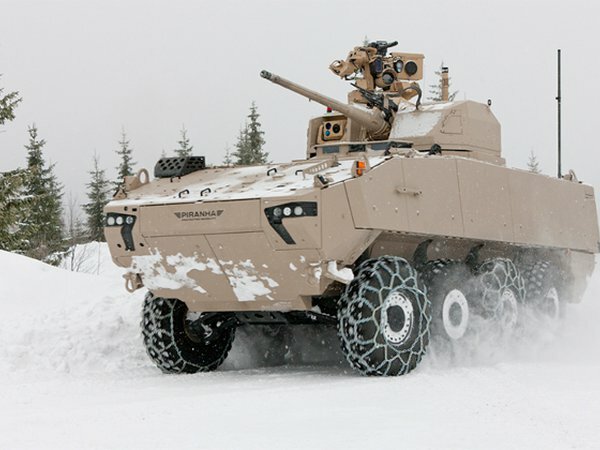 The first of 309 Piranha 5 armoured personal carriers (APCs) for the Royal Danish Army was rolled out on 17 May in a ceremony at the facilities of manufacturer General Dynamics European Land Systems - Mowag (GDELS-Mowag) in Kreuzlingen, Switzerland. The Piranha 5 was selected by the Danish Defence Acquisition and Logistics Organization (DALO) for the Royal Danish Army's APC requirement in April 2015. The first seven pre-series vehicles, which are built in the infantry combat vehicle (ICV) configuration, will be put through a comprehensive test programme, starting in the second half of 2017. Upon successful completion of the test programme by the end of the year, deliveries will start in early 2018. All Piranha 5s are set to be in service by 2023, according to the Danish Ministry of Defence. Sudan's Military Industrial Corporation (MIC) has released further details of its expanded Sarsar family of 4x4 armoured personnel carriers (APCs). MIC has not released details of the Sarsar's chassis, but this could be based on a commercial model that has been fitted with an all welded steel body, which provides the occupants with protection from small-arms fire and shell splinters. However, the lower part of the hull does not appear to be V-shaped to provide a higher level of protection against mines and improvised explosive devices. A similar layout has been adopted across the Sarsar family, with the protected engine compartment to the front and with the commander and driver to the immediate rear. The fully enclosed troop compartment is at the rear with the dismounts being seated three on either side, facing inwards, and entering and leaving via a large rear door. The Sarsar family's baseline protection level is claimed to reach level B6, with bullet/splinter-proof windows fitted to all vehicles. A protected weapon station (PWS) armed with a 7.62 mm or a 12.7 mm machine gun (MG) can be mounted on the roof. The vehicles are also equipped with a similar suspension system comprising rigid axles with leaf-springs and hydraulic shock absorbers. The baseline Sarsar is powered by a six cylinder inline diesel engine developing 128hp coupled to a transmission with five forward and one reverse as well as a two-speed transfer case. This gives power-to-weight ratio of 23.27hp/tonne. Optional equipment includes a front-mounted winch and wire mesh protection for the windows, which is of particular use in the internal security role. Sarsar 1 has been shown fitted with firing ports below the vision devices in the rear troop compartment. There is also a firing port and associated vision device in the rear door. It features a higher protection level, and the steel armoured hull is claimed to provide protection against 7.62 mm rounds fired from a distance of 100 m.
The Kaiman (Cayman) armoured reconnaissance vehicle has entered service with Belarusian armed forces, a source in the company told Jane's at the MILEX 2017 defence show, held in Minsk from 20-22 May. "The Kaiman is a new vehicle. It has successfully passed state trials and the military has brought it into service," the source said. Developed by the Belarusian 140 Repair Plant, the Kaiman is a light 4x4 armoured reconnaissance vehicle fitted with independent torsion bar suspension and two waterjets for amphibious operation. The vehicle can accommodate a crew of six and features a fully loaded weight of up to 7,000 kg. The Kaiman's monocoque hull has a length of 6 m, a width of 2.82 m, a height of 2.07 m, and a ground clearance of 490 mm when fully loaded. The hull has two side doors and three roof hatches. The front of the vehicle protects against 7.62 mm bullets fired from a Dragunov SVD sniper rifle (Level 2 STANAG 4569), while the sides ensure protection against 5.45 mm and 7.62 mm bullets fired from Kalashnikov AK-74 and AKM assault rifles (Level 1 STANAG 4569). The armour is reinforced with detachable spall liner. The Kaiman is powered by a D-245.30E2 engine coupled to a mechanical transmission and a five-speed gearbox. It has a road speed of up to 110 km/h, a swimming speed of up to 8 km/h and a cruising range of 1,000 km. The vehicle is also fitted with a centralised tire inflation system. The basic variant of the Kaiman features a pintle mount for a weapon along with an armoured shield that provides the gunner with all-round protection against splinters and small-calibre bullets. The vehicle can be armed with a 7.62 mm Kalashnikov PKMB medium machine gun (MG) (with an ammunition load of 2,000 cartridges), a 12.7 mm NSV Utyos heavy MG (with an ammunition load of 300 cartridges), or a 30 mm AGS-17 Plamya automatic grenade launcher (with an ammunition load of 174 cartridges). Military operations have changed in the 21st century, from linear, massive battles between peers, to asymmetric engagements involving unequal forces. Military against insurgents, law enforcement against terror and air power against elusive combatant elements hidden underground and immersed within the civilian population. This new type of warfare has changed the perspective of military planners. The linear battlespace of the past required combat vehicles protected by massive frontal armor, supported by unprotected logistic formations that operated away from the danger at the front line. Todayâ€™s warfare exposes all elements to threats, and requires all-around vehicle protection for the heavy forces and support elements alike; frequent increases in threat level requires constant improvements in protection. 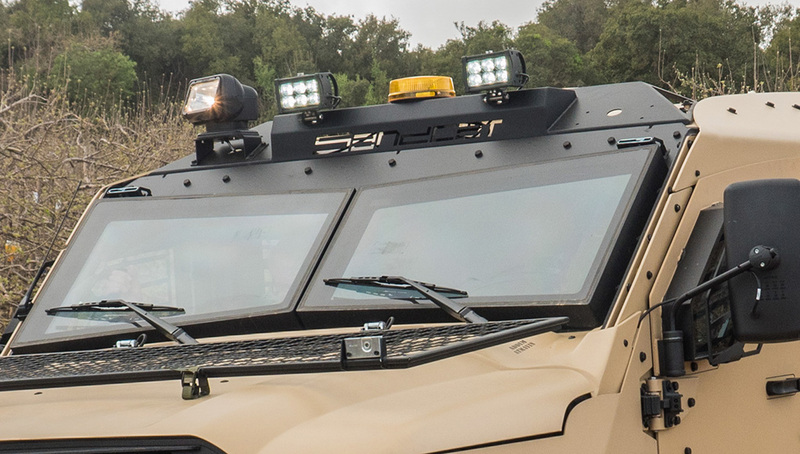 This requirement has increased the demand for armored, mine protected vehicles for the military, law enforcement as well as other government and civilian agencies that operate in high threat environments. Such vehicles should provide an elevated level of protection and operate on roads, within the civilian environment for extended missions. These vehicles require various levels of protection, meeting specific threat levels they may face in battle. Almost all vehicles in this class have a mix of opaque and transparent armor (TA) solutions, enabling the crew to operate the vehicle on road and in the confined spaces of an urban area. Traditionally, opaque armor is produced of steel or aluminum, that offer the thinner but heavier solution for a given level of protection; metal armor is often augmented by ceramic or composite materials to add protection and reduce weight. Lacking a transparent metal solution, TA facilitates ballistic protection through a combination of layered transparent glass and composites bonded with resins and adhesives to meet the level of protection like that provided by opaque armor. As the level of protection increases, the windows become thicker and heavier. 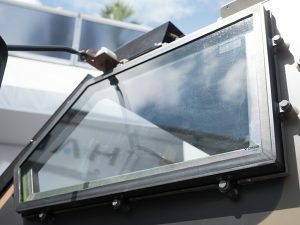 Developers of transparent armor are always seeking to bring lighter and thinner solutions to reduce the weight of an armor kit and increase the available volume inside the protected capsule, enabling protection for lighter vehicles. Combat vehicles are constantly exposed to harsh field environmental conditions including impact and abrasion, extreme temperature changes and humidity, and exposure to chemicals. These effects could damage the complex layered glass structure of transparent armor, causing delamination and deteriorate transparency that shortens the lifespan of the armor. As an approved supplier of TA for numerous military forces, including the USA Army, USMC, German BWB, British, French, Italian, Australian and other MODs, OSG has developed the ADI series of transparent armor that provides reduced life cycle cost. â€œBy employing new materials and technology ADI considerably extends the durability and life cycle of the Transparent Armor, while preserving a no-spall environment within the vehicle,â€� Cohen said. â€œThis armor has been proven to be lighter and stronger than â€œconventionalâ€� glass-polycarbonate products.â€� The ADI series has been extensively tested and certified for field deployment, allowing customers to benefit from easier maintenance and longer service life. â€œADI technology also offers high resistance to impact from projectiles, which allows the thickness and areal density of the product to be reduced,â€� Cohen added. 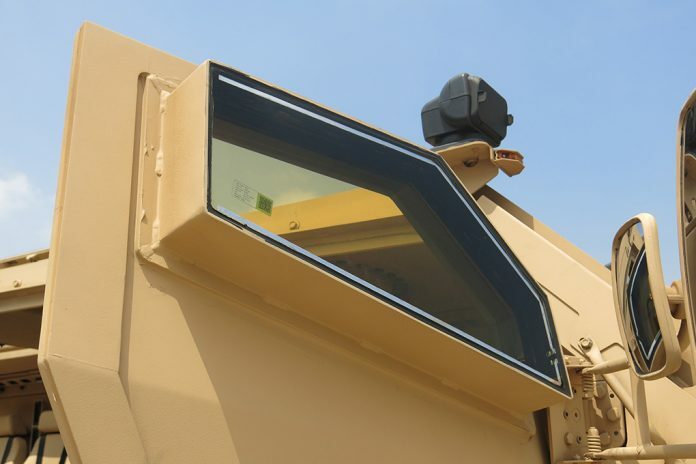 OSG is the largest supplier of armored windows for the MRAP and MATV family of vehicles operated by the US military and international customers. Operating with vehicle designers and manufacturers, OSG delivers optimized transparent armor solutions to meet specific requirements and platform design. The company supply such solutions to two of the latest tactical vehicles programs â€“ the American JLTV made by Oshkosh and Australian Hawkei, made by Thales Australia. Overall, CERALITE achieves greater than 50% reduction both in weight and thickness when compared to traditional glass solutions. It also improves the surface resistance to abrasion, scratches and rock impact. Reduced weight and thickness of the transparent armor also means a significant reduction in volume and therefore the weight of framing materials, further contributing to the overall reduction of gross vehicle weight. Meeting a higher level of protection at a given weight means a single transparent solution that meets all protection requirements, eliminating the need for a replacement armor (B-kit) to meet a higher level of threat. It also allows the use of a single armored windshield, contributing to better visibility for the driver. Elimination of B-kit armor represents significant cost-saving implications in design, production, operation and maintenance of the vehicle fleet across its operational lifespan. The lower weight further Improves performance, increases the vehicleâ€™s life cycle. 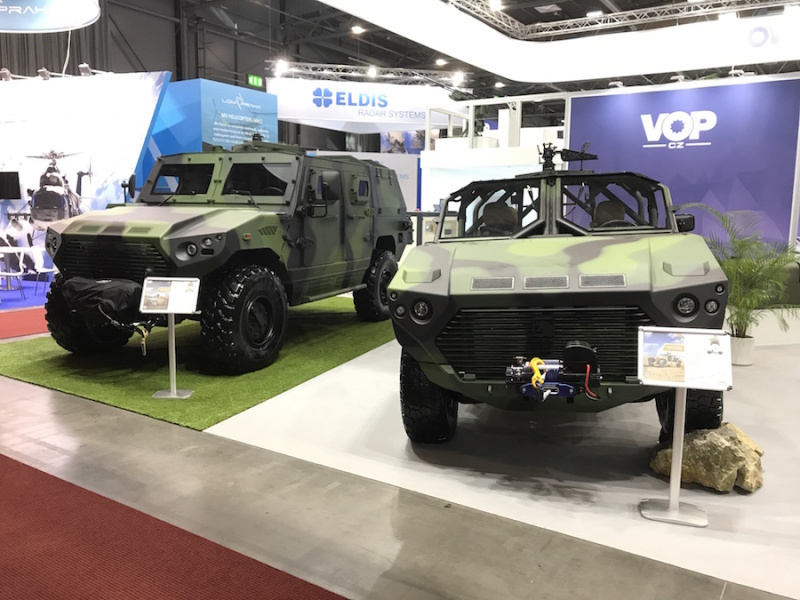 BRNO, Czech Republic --- VOP CZ and NIMR Automotive have selected the 14th International Defence and Security Technology Fair, (IDET) in Brno, Czech Republic, to formally debut their first military vehicle collaboration, the AJBAN 440A configured to European specifications. Since announcing their partnership in early 2017, VOP CZ and NIMR's design and engineering teams have worked quickly to bring this advanced platform to the European market, with successful trials already taking place in the presence of senior leadership from the Czech Armed Forces. Addressing the work carried out by VOP CZ and NIMR this year, VOP General Manager, Mr. Marek Å pok said, "The commitment being shown by both organisations to realise the collective vision of localising NIMR's range of military vehicles in Europe is evident with the Ajban 440A present today at IDET." Commenting on the collaboration, NIMR CEO, Dr. Fahad Saif Harhara said, "NIMR has already developed a strong reputation for its combat-proven vehicles that can perform in the harshest operational environments. We have now integrated our platform with VOP CZ's world-class technology that we are confident addresses NATO member countries' needs for a military grade fleet solution, providing greater protection and longer service-life than up-armoured commercial vehicles." NIMR is also displaying at IDET its newest vehicle line, the Rapid Intervention Vehicle (RIV). Designed to be internally transportable in a CH-47, and featuring unrivalled power-to-weight ratio along with outstanding all-terrain tactical mobility, the NIMR RIV aims to meet the increasing demands of armed forces without compromising on competitiveness. The RIV is a further example of NIMR's collaboration within Europe having been engineered by Horiba Mira in the United Kingdom and jointly developed with NIMR. Dr. Fahad Saif Harhara concluded, "The future to growth is through these strategic partnerships and testament to the maturity of NIMR's platforms." VOP CZ and NIMR's latest products and systems are on display at Stand 137 â€“ Hall P.
VOP CZ is a state enterprise established by the Ministry of Defence of the Czech Republic and its primary purpose is to fulfil the requirements of the Czech Armed Forces. It is mainly active in development, manufacture, repairs, servicing and modernisation of ground military technology and it has manufactured 107 armoured Pandur II vehicles for the Czech Armed Forces. Today it employs over 850 people and in 2016 it generated over CZK 1.3 billion in revenue. NIMR Automotive, a subsidiary of the Emirates Defence Industry Company (EDIC) delivers highly capable wheeled military vehicles that are designed for the harshest environments, across a diverse scope of mission requirements. NIMR's range of desert-proven 4x4 and 6x6 vehicles are available in armoured or non-armoured configurations, with modular configurable crew capacity and payload, where protection and mobility is the focus of our design activities. 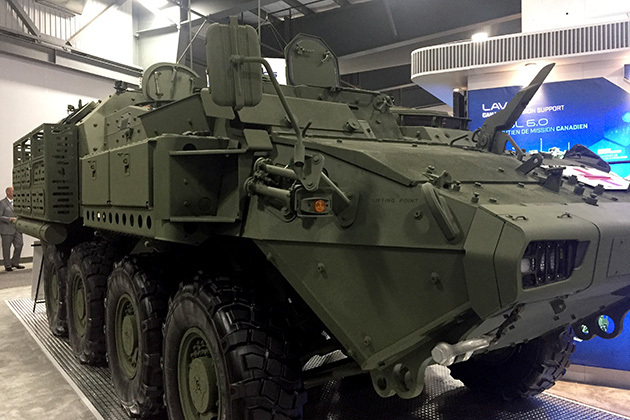 General Dynamics Land Systems-Canada (GDLS-C) unveiled two new Light Armoured Vehicle (LAV) variants at the annual CANSEC conference in Ottawa from 31 May to 1 June. The LAV 6.0 Combat Support Vehicle- Ambulance (CSV-A) and the LAV 6.0 Combat Support Vehicle- Maintenance and Recovery (CSV-MR) are evolutions of the LAV 6.0 baseline vehicle. Both vehicles were designed towards requirements in Canada's competitive Armoured Combat Support Vehicle (ACSV) contract. 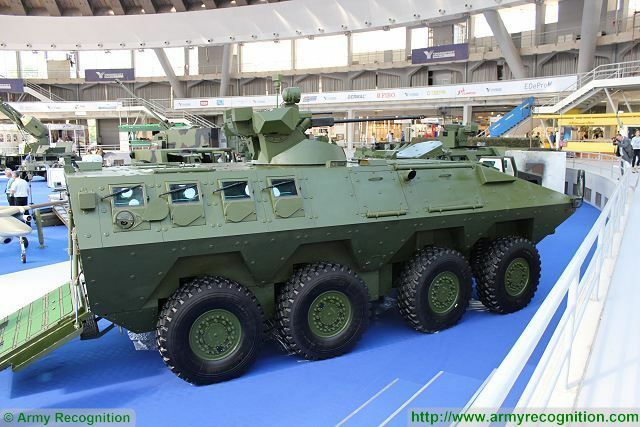 ACSV is a programme, valued at up to CAD1.5 billion (USD1.1 billion), to replace the Canadian Army's fleet of M113 armoured personnel carriers (APCs) and LAV-II Bisons. It will enter an options analysis phase in 2018, with a contract award expected in 2023. So we decide that the LAV's can't cut it in combat operations and need to be replaced, but the Canadian's are committed to keeping their LAVs and rolling out more variants? Are we looking at another Canadian Sea King situation where they soldier on with a capability well past its prime because they aren't prepared to bite the bullet, acknowledge realities and spend the money? 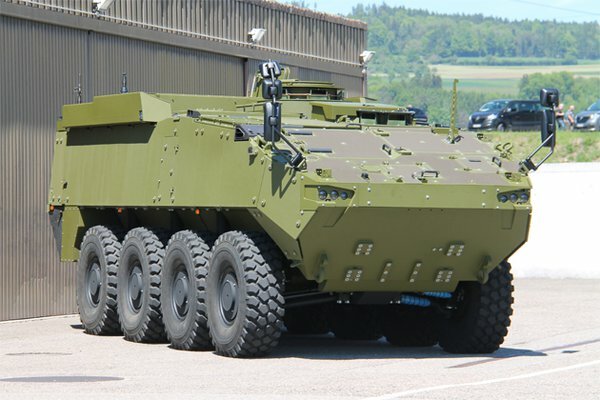 If you have Industrial capacity occupied building what are now slightly archaic armoured vehicles, then Canadian politics says you keep on buying..................that's the raison d'etre it appears. Both vehicles were designed towards requirements in Canada's competitive Armoured Combat Support Vehicle (ACSV) contract. ACSV is a programme, valued at up to CAD1.5 billion (USD1.1 billion), to replace the Canadian Army's fleet of M113 armoured personnel carriers (APCs) and LAV-II Bisons. It will enter an options analysis phase in 2018, with a contract award expected in 2023. The 28-ton LAV CSV-MR has all the same protection features as the baseline LAV 6.0. It has a crew of two - a driver and commander - with additional space in the rear for two other personnel. The vehicle's back end is truncated to support a winch that has a 4,400 kg maximum lifting capacity and 5.3 m maximum horizontal reach. The powerpack is identical to that of other LAV 6.0 vehicles, with the exception of modified hydraulics. Steven Child, senior engineer for advanced projects at GDLS-C, told Jane's that the LAV CSV-MR had demonstrated not only "an ability to recover vehicles in its weight class, such as other LAVs or M113s, but it has demonstrated that it can recover vehicles way above its weight class. We successfully recovered a [50-ton] M88 recovery vehicle at Camp Lejune using a LAV II version of this system. It's got the pulling capacity, with the proper rigging, to recover a wide range of vehicles." The LAV CSV-A is a four-crew adaptation of the medical intervention and evacuation LAV CSV variant that was unveiled at CANSEC 2016. The CSV-A's roof is much higher, with a 4.2 m maximum height, creating 20% more space than the LAV 6.0 baseline configuration. Opportunities for the Tiger Mk II all-terrain combat vehicle are most likely in the international homeland security market, according to Jonathan Wharthman, head of armour division at manufacturer Shladot. Showcasing the platform at the ISDEF exhibition and conference in Tel Aviv, Wharthman said that the Tigerâ€™s use by Mexicoâ€™s police and security forces has demonstrated its capabilities in keeping occupants safe during attack. The vehicle has been â€˜designed to be intimidatingâ€™, Wharthman added, and citing one example of its use by Mexican police forces where a sniper fired multiple shots at areas usually considered to be weak points without effect. Another incident saw a gang stop the vehicle and attempt to prise open the armoured shell keeping the occupants safe, with the vehicle once again keeping the personnel inside safe until back-up arrived. Various fit-outs can seat up to 12 crew and the vehicle incorporates a proprietary armoured capsule mounted on a modified commercial Dodge or Ford pickup, offering advantages in a number of areas including lifecycle cost, the company stated. The system offers up to STANAG 3 protection and also comes with a roof turret option. Hundreds of the smaller David vehicle have been used by Israeli forces and last year was also delivered to a country in Africa as part of a US assistance programme. The system offers up to STANAG 2 protection, securing up to eight personnel. The vehicles are manufactured and marketed by MDT Armor, a subsidiary of Shladot. Unveiling the combat support vehicle - ambulance (CSV-A) and the combat support vehicle - maintenance and recovery (CSV-MR) variants, GLDS-C is anticipating the specific requirements set out in Canadaâ€™s Armoured Combat Support Vehicle (ACSV) contract. The ACSV will begin its analysis phase next year with a decision on the programme, worth up to CAD1.5 billion, by 2023.
â€˜So, certainly, Canada has future requirements for recovery and for combat support capability and this anticipates that future requirement,â€™ Wilson-Hodge said, going on to explain that both the new variants offer improvements from the legacy Canadian Army M113 armoured personnel carrier (APC) and LAV-II Bison fleet. â€˜These variants have the same protection and mobility as the LAV 6.0 baseline fleet. Offering an increase in mobility and protection, with the same kind of combat support roles that those older fleets have done,â€™ he said. GDLS-C originally delivered 550 LAV 6.0s under the CAD1.064 billion LAV III Upgrade Project (LAV-UP) and in February 2017 the company was awarded a follow up worth CAD404 million to upgrade an additional 144 LAV IIIs to LAV 6.0. Across the LAV 6.0 family, with four variants currently in service, there is an 80% commonality and GDLS-C sees the additional two variants as being the logical next step for the future ACSV requirements. The 12e RÃ©giment blindÃ© du Canada (12 RBC), based out of CFB Valcartier in Quebec City, drove more than 600km to provide aid at the beginning of May under Operation LENTUS. The EO/IR sensor also provided an invaluable asset to survey areas for people that may have been unaccounted for. As more units receive the TAPV, the army has begun to consider future options ahead of the final delivery in March 2018, which includes the potential for an additional 100 vehicles under an unfunded option above the CAD603.4 million original contract. Analysis: Can the Piranha devour the APC competition? Production is now underway at a new final assembly and integration facility in Kreuzlingen, Switzerland with some ten vehicles already on the production line. In addition to the first contract for 309 Piranha 5s, there is also an option for an additional 141 vehicles, which would bring the fleet up to 450 units, although this is not expected to be firmed up for a number of years. 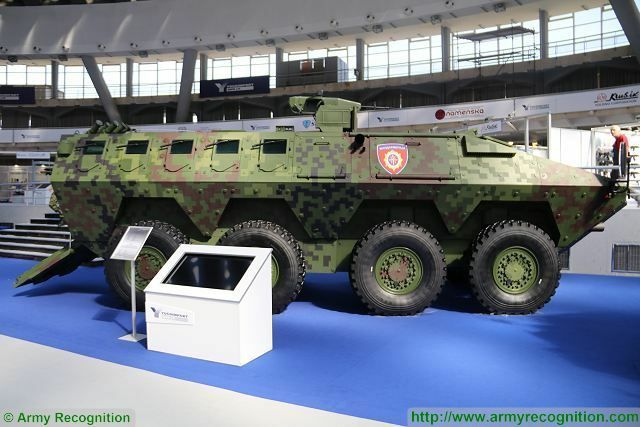 In addition, Spain has selected the Piranha 5 to replace its currently deployed 6x6 BMR-600 and four prototypes will be supplied by GDELS-MOWAG to GDELS Santa Barbara Sistemas in Spain where volume production will eventually be undertaken. Now that the Piranha 5 is in quantity production for Switzerland and has been selected by Spain, GDELS is hoping for extra export sales to keep the production lines running. The Swiss Army is due to order a batch of Piranha APCs fitted with the RUAG Defence 120 mm Cobra advanced mortar, and there is also another potential army requirement for several hundred APCs. Romania continues to take delivery of the Piranha 3 and the vehicle has recently beenÂ demonstrated in Bulgaria to meet one of its requirements. The British Army also has a requirement for a mechanised infantry vehicle (MIV) for its Strike Brigades and the Piranha 5 could be one of the vehicles offered. This is actually one of the few remaining European 8x8 competitions, along with those mentioned above. In addition to the Piranha 5, GDLS has also said that it could offer the UK a number of other 8x8 platforms â€“ including the LAV 6.0 and LAV 700 â€“ depending on exactly what the customer requires. For Denmark, the DALO placed a contract in January 2016 for 309 Piranha 5 vehicles plus an integrated logistics support (ILS) package valued at DKK4.5 billion ($679 million). Denmark is the launch customer for the latest Piranha 5, which was selected to replace the armyâ€™s current fleet of upgraded FFG M113 series of tracked APCs following trials with five tracked and wheeled APCs. The competition included the BAE Systems Hagglunds CV90 Armadillo, FFG PMMC G5, GDELS-MOWAG Piranha 5, GDELS Santa Barbara Sistemas Pizarro 2 and Nexter Systems VBCI. Production of the Piranha 5 for Denmark will run through to 2023 with the first company being operational by 2020 and the first battalion by 2021. The first seven pre-series Piranha 5s in the APC configuration will be put through an extensive series of tests, which will include hot weather trials at Yuma Proving Ground in the US. Verification acceptance tests should be concluded and user acceptance test completed by the end of 2017. This will allow for deliveries to start to the DALO early in 2018 followed by deliveries to the Danish Army in 2019. In the APC role, the Danish Piranha 5 has a crew of three consisting of commander, gunner and driver plus nine dismounts. 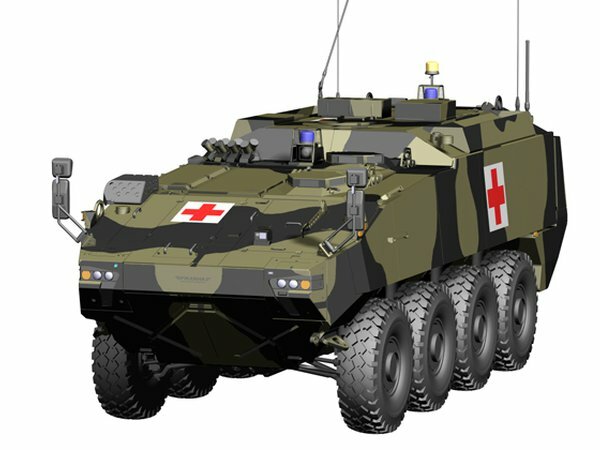 As well as the APC version, the Danish Army will likely acquire five specialised versions of the Piranha 5 including ambulance, command, engineer, heavy mortar and recovery. According to Pederson, â€˜exact quantities of the specific numbers of each variant have yet to be decidedâ€™. All the Piranha 5 vehicle variants will have the same roof line as the APC apart from the ambulance which will have a higher roof line for greater internal volume for its specialised role. According to the Danish Army, the 120 mm heavy mortar version will be a turntable-type firing through open roof hatches rather than a turret-mounted mortar system. The mortar type has yet to be selected by the DALO. The engineer variant will be fitted with a wide range of specialist equipment at the front of the hull including mine clearing devices, dozer blade and fascines on the roof to drop into ditches. Some of the Danish Piranha 5s will be fitted with a remote weapon station (RWS) armed with a .50 M2 HB machine gun (MG) on the right side of the roof. The Danish Army currently uses the BAE Systems Bofors Lemur (RWS) armed with a .50 M2 HB MG on a number of platforms which were supplied from 2007 and there are potentially other options. The RWS is provided as government furnished equipment (GFE) as is the communications equipment. All of the Piranha 5s for Denmark are powered by a Scania diesel engine coupled to a ZF automatic transmission and feature powered steering on the first, second and four road wheel stations. Like earlier Piranha variants, the latest Piranha 5 was developed as a private venture and was unveiled at Eurosatory in Paris in 2010 and, when compared to earlier vehicles, has more volume, payload and protection. It can be fitted with a wide range of weapon systems including a Belgian CMI Defence Cockerill 3105 two-person armed turret with a 105 mm gun fed by an automatic loader. Typical gross vehicle weight (GVW) for the Piranha 5 is around 33 tonnes, of which 15 tonnes is payload which includes armour package, weapons, ammunition, fuel and crew. Standard equipment includes an air conditioning system, NBC system, cameras for situational awareness through 360 degrees, electronic architecture and height adjustable semi-active suspension. Ukroboronpromâ€™s Kyiv Armored Plant has transferred a new batch of BTR-3DA to the National Guard of Ukraine following successful completion of acceptance tests. The operational testing, carried out at the proving grounds in Kyiv region, saw all systems of each fighting vehicle evaluated. 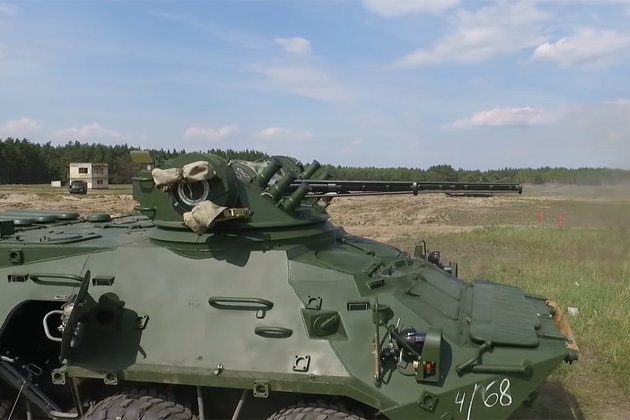 The BTR-3DA was put through its paces including travelling cross-country, overcoming trenches, tracking bridges and special obstacles, and carrying outÂ target engagement using the vehicle's standard weapon. BTR-3DA is a lightweight armoured vehicle equipped with combat module Sturm-M with 30mm ZTM-1,Â 7.62mm machine gun and automatic grenade launcher. In 2016 the Kyiv Armored Plant manufactured more than 50 BTR-3 vehicles for the Ukrainian military. A further 140 units have been ordered. Thailand plans to purchase 34 VN1 8x8 armoured vehicles from China. According to the Bangkok Post, government of Thailand plans to purchase 34 wheeled armoured vehicles VN1 from China for an amount of 2.3 billion baht ($2.57 million). This acquisition is a part of the national defense development plan. 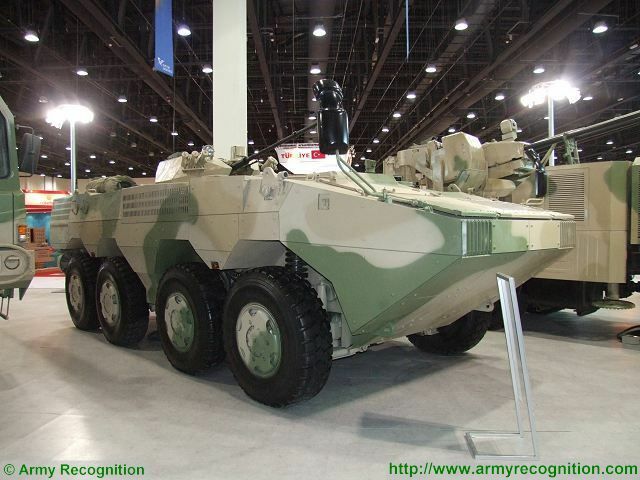 NORINCO VN1 8x8 armoured vehicle personnel carrier at IDEX 2009 defense exhibition in Abu Dhabi, United Arab Emirates. The plan includes also the purchase of S26T Yuan-class submarine from China worth 13.5 billion baht (around $15 million) which would be included in the army's fiscal budget for 2017-2021. The purchase request for Chinese-made VN-1 armoured vehicles was submitted to the Defence Ministry, which forwarded it to the cabinet for approval. Thailandâ€™s annual defence spending is valued at $5.7bn in 2016 and is anticipated to reach $6.9bn by 2021, following a compound annual growth rate (CAGR) of 4.06%, according to a report by Strategic Defence Intelligence (SDI). The VN1 is an 8x8 armoured vehicle designed and manufactured by the Chinese Defense Company NORINCO. The hull of the VN1 is made of high hardness armour steel that provides protection against firing of small arms and shell splinters. In APC configuration, the VN1 can carry 10 military personnel including driver, commander, gunner and 7 infantrymen. The vehicle can be fitted with a wide range of armament up to 30mm automatic cannon and HJ-73D anti-tank missile. The VN1 is motorized with a water-cooled diesel engine DEUTZ BF6M1051CP coupled to a mechanical transmission. It can run at a maximum speed of 100 km/h with a maximum cruising range of 800 km. The vehicle is fully amphibious propelled in the water at a maximum speed of 8 km/h thanks to two propellers mounted at the rear of the hull. The U.S. Army is working to increase the lethality and mobility of the Stryker armored fighting vehicle. One of the biggest modifications to the General Dynamics-built system is the addition of a 30 mm cannon to some platforms, he said. â€œThis will be the first new direct-fire weapon system in this family of ammunition that the Army has fielded since we put the 121 mm cannon on the Abrams tank,â€� he said. The program stems from the United Statesâ€™ European Reassurance Initiative, an effort intended to support U.S. partners by funding a persistent, rotational air, land and sea force in the region to deter Russia and to bolster training, Dean said. The Army is leveraging investments it made during the failed ground combat vehicle and Future Combat Systems programs, he said. â€œAll that is coming together,â€� he said during a panel discussion at the Michigan Defense Exposition in Warren. The National Defense Industrial Associationâ€™s Michigan Chapter hosted the conference. The service is testing the system at Aberdeen Proving Ground, Maryland. The Army intends to execute the program quickly, taking only three years from when the requirement was drafted to fielding. The cannon will be deployed on a Stryker next year, he said. The addition of the weapon will result in a significantly new capability for the armored vehicle, he said. The Army is also working to increase the platformâ€™s mobility and survivability, Dean said. The effort is part of a program known as the Stryker engineering change proposal, or ECP. â€œWe still have some reliability tests ongoing, but initial production contracts are in place and theyâ€™ll actually start rolling â€¦ these production vehicles off the line a little bit later this year,â€� he said. In 2018, the Stryker ECP will start operational testing, he added. The integration of the 30 mm cannon and improvements to mobility, power and network integration would help resolve some of that deficiency, they said. Murray and Ostrowski noted that if given the proper resources, the Army could accelerate lethality upgrades to the Stryker. â€œOn the ground, our combat vehicles lack the ability to effectively detect, track, divert, disrupt, neutralize or destroy incoming missiles,â€� they said. To mitigate this, the Army plans to expedite the installation of commercially available active protection systems on Stryker brigade combat teams in Europe by the end of fiscal year 2020, they noted. Mark Cancian, a senior adviser at the Center for Strategic and International Studies, a Washington, D.C.-based think tank, said upgrading the Stryker makes sense. James Hasik, senior fellow for defense at the Brent Scowcroft Center on International Security at the Atlantic Council, a Washington, D.C.-based think tank, said the 30 mm cannon upgrade is a response to Russian aggression in Europe. The system is â€œintended for force-on-force combat in a place like Poland or the Baltic states against an adversary who has got infantry fighting vehiclesâ€� or has personnel carriers equipped with medium-caliber weapons and machine guns more powerful than the 12.7 mm gun on the Stryker, he said. The Army doesnâ€™t want the platform to go against a Russian BMP, an amphibious tracked infantry fighting vehicle that is equipped with a large cannon, Hasik said. Before the Army started the cannon upgrade, it didnâ€™t have a weapon on a Stryker that could penetrate any kind of moderately advanced armored vehicle, he said. While the cannon is targeted toward a conflict with Russia, such a capability could also be useful in the Middle East, Hasik said. The cannon â€œcan reach out and touch somebody much farther away in a place like Afghanistan than you can with the 12.7â€� mm machine gun, he said. The Army is also working on the systemâ€™s survivability, equipping platforms with a double-V hull that would protect it from improvised explosive device blasts, he noted. The improved hull â€œis really designed for counterinsurgency kinds of stuff. But you donâ€™t expect to see â€¦ [that] in places like the Baltic states,â€� Hasik said. While large landmines could be used in the region, it is more likely that they would be intended to disable the vehicle rather than kill the occupants, he added. The new hull will give the Stryker a similar capability to the mine-resistant, ambush protected vehicles that were rushed into the field in the late 2000s to respond to the growing IED threat in Iraq and Afghanistan. The V-hull is an old but valid concept, he said. By putting a double hull on the Stryker, that will add even more energy attenuation during an explosion, he noted. While the Army has aspirations to make a number of modifications to the platform, Hasik said the service has other of priorities that may divert funding. Additionally, it is unlikely that General Dynamics will have luck selling the platform internationally, Hasik said. The problem is that the 8x8 vehicle market is extremely crowded from a supplier standpoint, he said. â€œItâ€™s crowded enough that if youâ€™re not in it, it probably doesnâ€™t make sense to get in it,â€� he added. 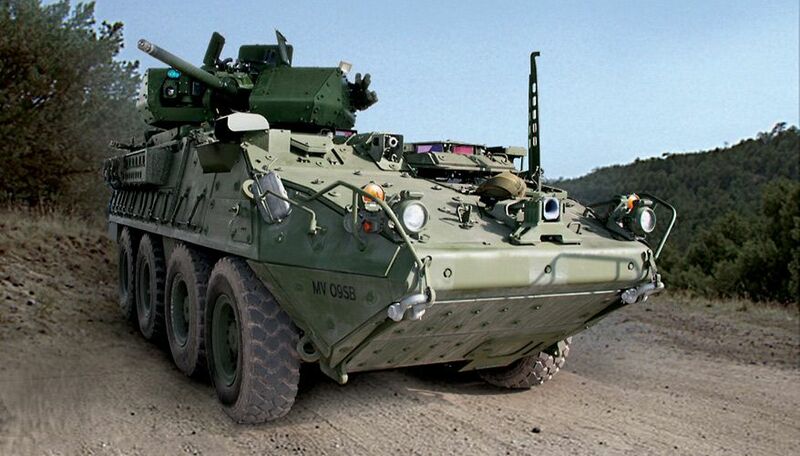 While the Stryker might not have much sales potential abroad, General Dynamics Land Systems Canadaâ€™s light armored vehicle â€” of which Stryker is based â€” will likely have better success, he said. The company â€œhas run into a bonanza of future sales from the previous Canadian governmentâ€™s decision, which has not been overturned by the Liberals, to sell a whole bunch of arms to the Saudis,â€� he said. That will include the sale of LAV 6s. General Dynamics did not make a subject matter expert available to discuss the Stryker. General Dynamics Land Systems - Canada (GDLS Canada) has released additional details of its latest 8x8 Light Armoured Vehicle 700 (LAV 700) vehicle, which is now in production for an unidentified export customer. This is believed to be Saudi Arabia. The LAV 700 leverages on technology from the 8x8 Stryker infantry carrier vehicles (ICVs) and its variants built for the US Army as well as the latest LAV 6.0 currently in production for Canada. When compared with earlier LAV platforms, the latest LAV 700 features a new and larger hull on which increased payload and protection can be carried. The gross vehicle weight (GVW) of the vehicle depends on the variant and weapons fit but the company is currently quoting 32,000 kg, including a payload capacity of 11,000 kg. The LAV 700 hull design is of all welded steel with an applique passive armour package. Modular armour packages (MAPs) can be added for enhanced protection against rocket-propelled grenades (RPGs) and explosively formed penetrator (EFP) attack. There is also potential to fit a defensive aids system. The lower part of the vehicle's hull is of the double V type to provide a higher level of protection against mines and improvised explosive devices (IEDs). The powerpack comprises a Caterpillar C13 diesel developing 711 hp coupled to an Allison 2800 automatic transmission with seven forward and one reverse gears and a single-speed transfer case. For a higher level of cross-country mobility hydropneumatic independent suspension with ride height control is fitted. This is augmented with a central tyre inflation system (CTIS) as well as run-flat tyres. Other features integrated into the LAV 700 include an open electronic architecture, cameras for situational awareness, and a health and usage monitoring system (HUMS). One presumes that the A2 is what is on offer for the Australian Army? OR is it an option? Following approval form the Bundestag's parliamentary budget committee, the Bundeswehr will see its fleet of Boxer armoured vehicles upgraded from the A1 to A2 standard. The upgrade will probably be undertaken through the Organisation for Joint Armament Cooperation (OCCAR), which manages the Boxer programme for Germany, in addition to Lithuania and the Netherlands. The A2 standard includes a fire suppression system - which is intended to improve vehicle survivability in the event of a hull breach - and a driver vision system, consisting of an externally-mounted camera to enhance situational awareness. Additionally, the A2 standard includes a satellite communications system and increased ballistic protection. Serbian-made Lazar 3 8x8 armoured vehicles now in service with Serbian army and police forces. Lazar 3 IFV Infantry Fighting Vehicle, now in service with the Serbian armed forces and Lazar 3 APC Armoured Personnel Carrier used by Serbian Police Forces. 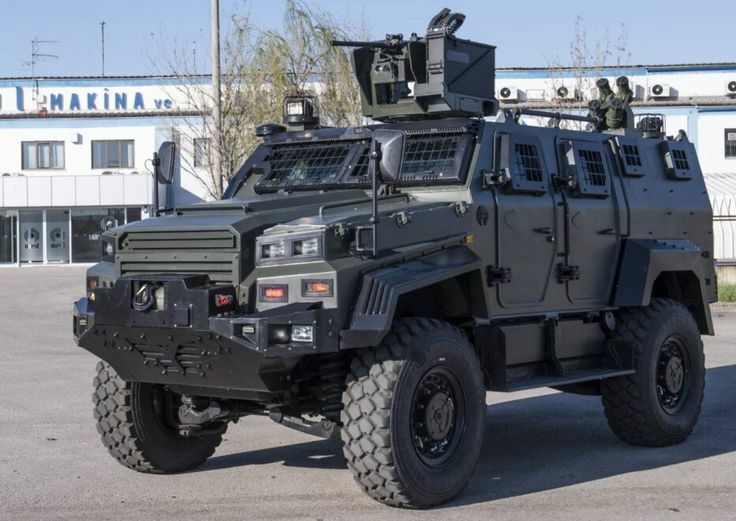 Both vehicles are similar in the design but the main armament is different, chosen according to the missions requirements of the Serbian army and police forces. Lazar 3 IFV Infantry Fighting Vehicle of Serbian army with 30mm automatic cannon at Partner 2017, the International Fair of Armaments and Defense Equipment in Belgrade, Serbia. The Lazar 3 is a multi-role wheeled armoured vehicle which can carry a total of 12 military personnel including three crew members, driver, commander and gunner. The driver and commander seats are located in the front left side of the hull, with the gunner position at the rear. The rear part of the hull has eight individual seats for infantrymen. The Lazar 3 hull provides protection up to STANAG 4569 level 3 protection against ballistic threats, 7.62Ã—51mm AP (WC core) at 30 meters with 930 m/s. It also offers protection against land mines and improvised explosive devices under any wheel or track up to STANAG 4569 level 3a/3b, 8 kg (explosive mass) Blast AT Mine under the wheels. The Lazar 3 IFV is fitted with a remotely operated weapon station armed with a 30mm automatic cannon, one 7.62mm PKTM coaxial machine gun mounted to the left side of the main armament and one 30mm automatic grenade mounted to the right side of the turret. The weapon station used on the Lazar 3 IFV is similar to the armament mounted on the Russian-made BTR-82A. The LAZAR 3 APC is fitted with a remotely operated weapon station armed with a 12.7mm heavy machine gun. Lazar 3 APC armoured Personnel Carrier of Serbian Police with 12.7mm machine at Partner 2017, the International Fair of Armaments and Defense Equipment in Belgrade, Serbia. Nexter Systems is building a further two examples of its Tactical Infantry Transport and Utility System (TITUS) vehicle, Jane's has learned. TITUS has been developed as a private venture using internal research and developing funding and was first shown in 2013. Two prototypes have already been built by the company, the first of which has been used for trials work in France and overseas, while the second is in the internal security vehicle (ISV) configuration and is in service with the French National Police's Recherche, Assistance, Intervention, Dissuasion - Search, Assistance, Intervention, Deterrence (RAID), a specialist unit whose responsibilities include counter-terrorism and hostage rescue. Jane's understands that this vehicle has been periodically returned to Nexter Systems for undisclosed work. The first of the additional two vehicles has recently been completed at the company's Roanne facility. Both vehicles will initially be production standard, but will be configured for specific requirements as these are defined. One vehicle will be used for trials in France and the other for overseas work. According to Ghislain Passebecq, vice-president bids and commercial at Nexter Systems: "We expect to get a green light for sales of the TITUS to two different countries by the end of this year." One of these is understood to be in the Middle East and although unconfirmed is believed to be Saudi Arabia. The other is the Czech Republic where there was initially a requirement for 62 vehicles that was subsequently reduced to 42, with deliveries potentially to run from 2019 through to 2023. Also competing for the Czech contract is the SVOS VEGA (6x6) vehicle, which like TITUS uses a Tatra (6x6) chassis. If selected for the Czech requirement, TITUS vehicles would be built in-country by Tatra Defence Vehicles. On 28th June, the OCCAR Director and the Managing Directors of ARTEC GmbH signed a contract to retrofit the German BOXER fleet to the A2 built-standard. The ceremony took place in Bonn and was attended by representatives of the German Ministry of Defence, the German procurement agency BAAINBw and also representatives from ARTEC GmbH, Krauss-Maffei Wegmann GmbH and Rheinmetall MAN Military Vehicles GmbH. OCCAR Director Arturo Alfonso-MeiriÃ±o stated in his speech that this contract marks a major milestone for the BOXER as it contains the upgrade of 246 BOXER vehicles to the highest build standard. Up to now the German BOXER vehicles have had different build standards (A1 and A2). A2 is the most advanced build standard and the complete German BOXER fleet will be retrofitted to it. The contracted performance provides the preparations for a Driver Vision System and an updated safety standard for the drive modules. The mission modules will receive changes to loading lists and stowage and several improvements like an explosion suppression system and satellite communication. Most beneficial is the fitting for an advanced Driver Vision System. This will allow to drive the German vehicles on public roads without the support by the commander in the future. But, also, the survivability and the effectiveness of BOXER will be greatly enhanced. The A2 retrofit will be finished in 2023.